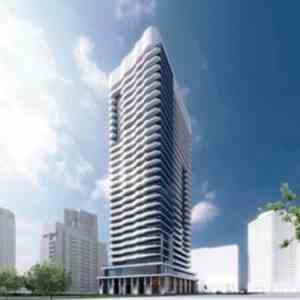 Beacon Condos is a new preconstruction condo project located at 5200 Yonge St in Toronto North York.will be developed by Sorbara Development Group. 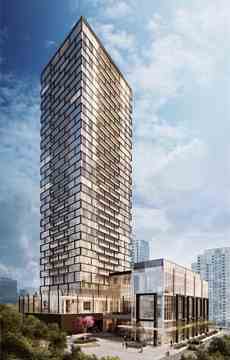 This new condo project has 35 storeys with a total of 374 condo units, The estimated completion is Spring 2018. Beacon Condos Will be direct connect to the North York Centre Subway Station and has a Walk Score of 98 out of 100. Architect: Wallman Architects and Rafael Bigauskas Architects Inc.
Sorbara Development Group is overtly one of the unforgettable professional condominium designers anywhere in the Metro Toronto zone, devising comfortable urban condos featuring appealing style, hypermodern architecture, and improved design. 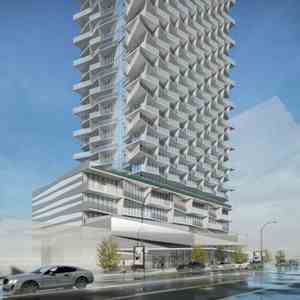 The banner condominiums visualized by Sorbara Development Group incorporate 400 Wellington West Condominiums at 400 Wellington Street West; 32 Camden Street Condominiums at 32 Camden Street; and 5200 Yonge St. Condominiums at 5200 Yonge Street. Through these spectacular condo complexes, the Sorbara Development Group has established itself unquestionably as one of the most prestigious condominium builders in the GTA framing baronial city edifices through highlighting entrancing architecture, definitive characteristics, and highly civilized features. 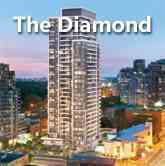 That is why the condos of the Sorbara Development Group have met with such spectacular success and have swiftly become some of the most sought-after residential buildings in the Toronto area.